I love a good burger… who doesn’t? 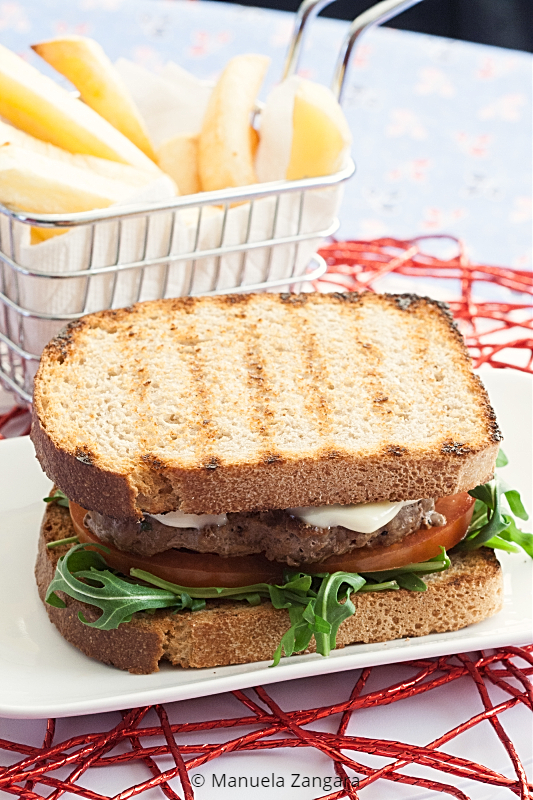 I always make my own patties, and this Low Fodmap Beef Burger is a great addition to my burger collection. 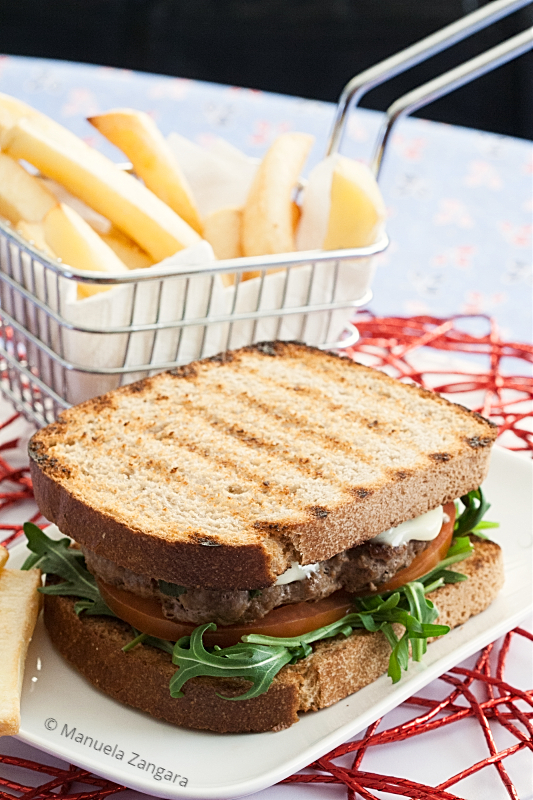 If you are on a Low Fodmap diet, you will know how hard it is to go out and eat a good burger. 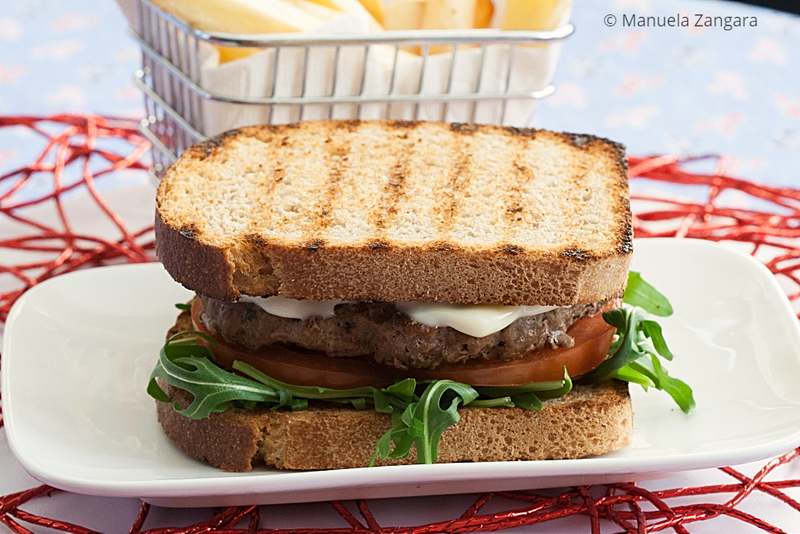 The ready-made patties often contain either garlic or onion, some of them may have breadcrumbs in there too. I was craving burger for a while before coming up with this awesome recipe. It is really easy to make and it tastes delicious, and the best part is you know what’s in them. You need only 4 ingredients to make these juicy patties that are gentle on the tummy and on your digestive system. Bread is another “problem” for people on a Low Fodmap diet. 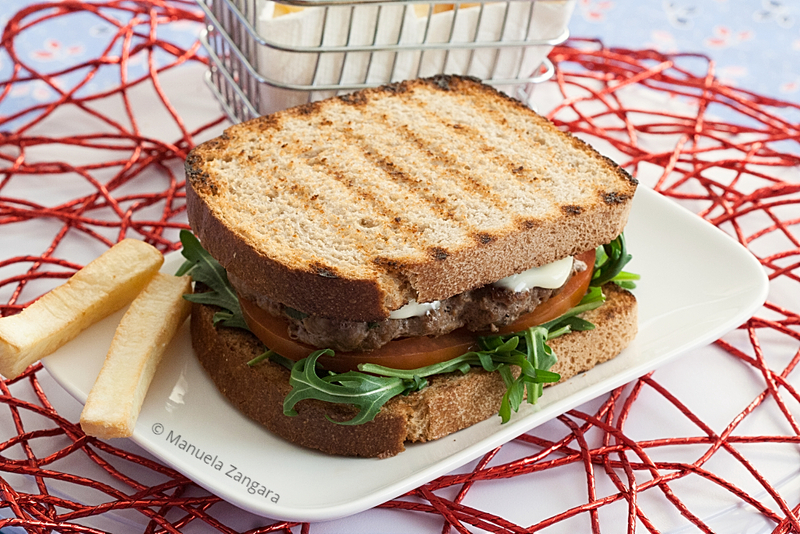 I often use spelt sourdough for my sandwiches and burgers (like in the photos). I am also experimenting with the Healthy Baker Low Fodmap flour to make Low Fodmap burger buns, so stay tuned. 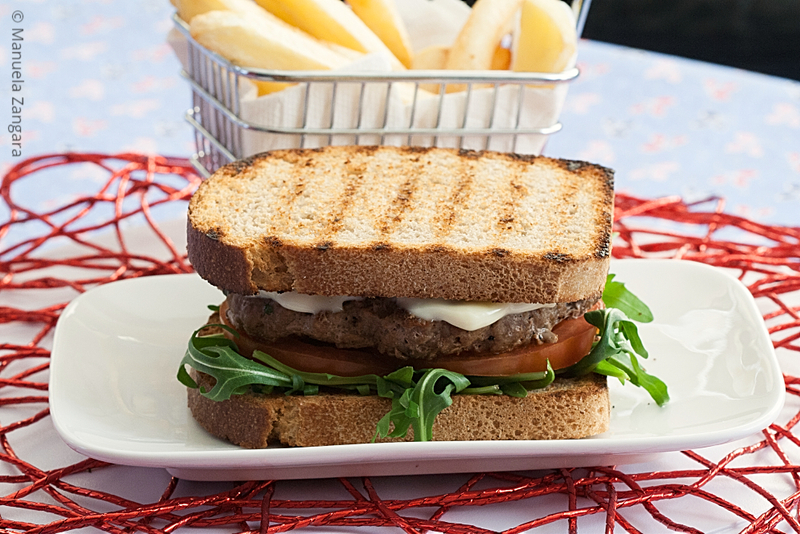 As ketchup can be tricky, I serve my burger with Low Fodmap Aioli, and I have to say… I love it. If you like burgers and are not on a Low Fodmap diet, you can make this recipe by using regular olive oil and ½ a clove of chopped garlic. Also, make sure to check out all my other burger recipes here and here. 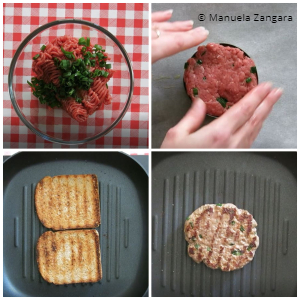 Low Fodmap Beef Burger – stop craving a good burger: you need only 4 ingredients to make these juicy patties that are gentle on the tummy and on your digestive system! In a bowl, mix together the beef mince, garlic infused olive oil, the chopped green parts of the spring onions, and salt. Make 4 balls and shape into 4 burger patties (I used a round pasta cutter). Keep aside. 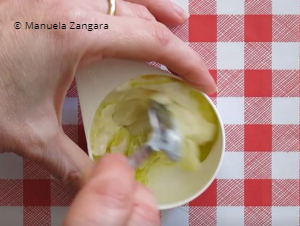 In a small bowl, mix together the mayo and garlic infused olive oil. Keep aside. Lightly toast the bread slices. Keep them aside. Sauté the beef patties in a pan with a little oil and cook them until done the way you like. Remove the burgers, cover them loosely with some aluminium foil to keep them warm. 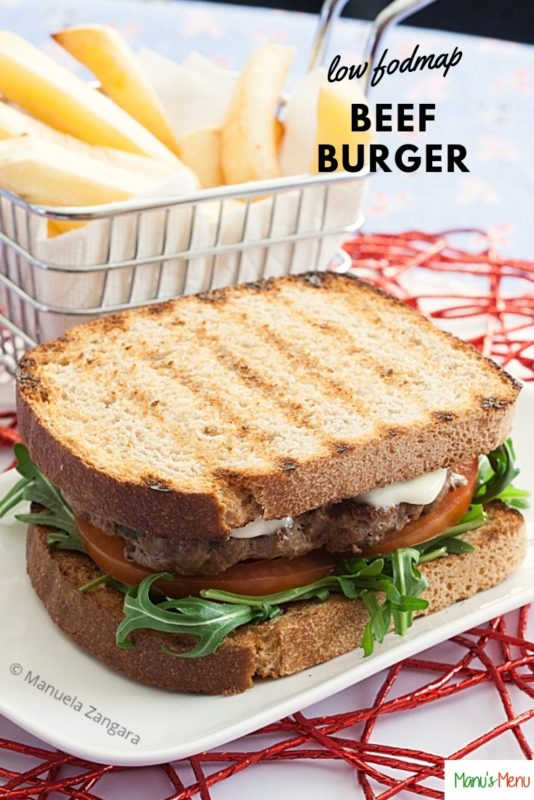 To assemble your burgers, start by spreading some Low Fodmap Aioli on the toasted bread, add some rocket/arugula, then the tomato slices, and the burger. Put the other slice of bread on the top of the burger. Serve immediately with some French fries. I often make more patties and freeze them to have them later on. When you want to cook them, simply thaw them and cook them as per the recipe. Hi Manu! This sure does looks yummy! Would love to give it a try! Been looking for new low FODMAP recipes for a while now. Glad to find your site! Thanks for sharing! Yum! I needed something for evening.. Thanks for sharing…. Ymmy. Beef burger is amazing food to eats.